The first is a form for Facebook fans to signup as cyberactivists. 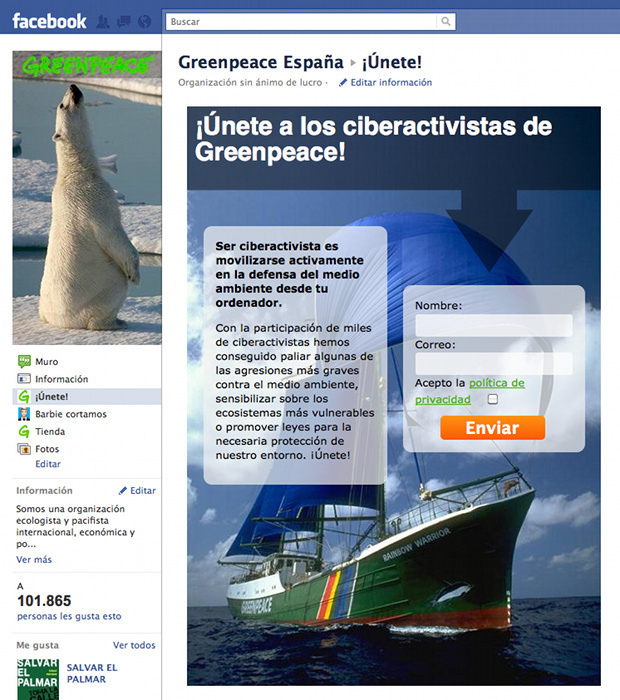 Later this are integrated in our mail lists and asked to help Greenpeace by spreading the word about our campaigns or writing protest letters to governments and corporations. 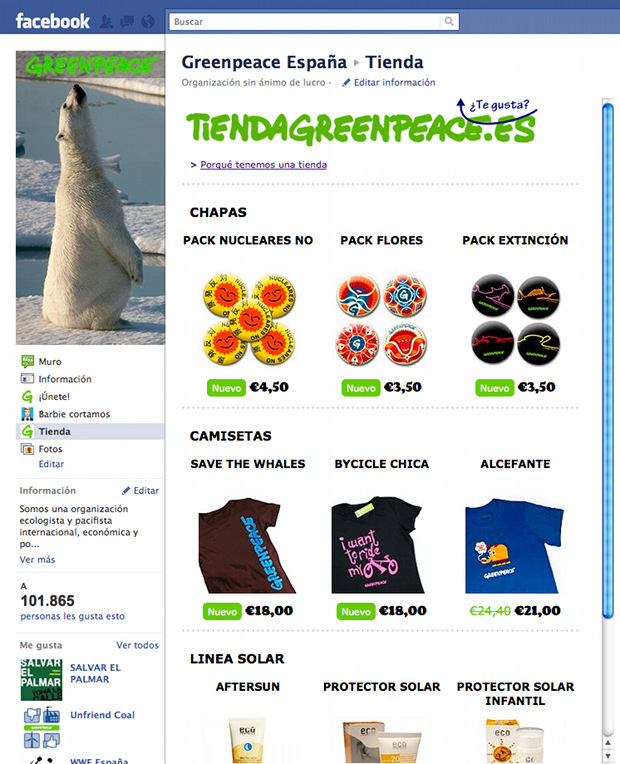 The second app is a simple showcase to Greenpeace’s online store. It’s connected to the online statistics application, so Greenpeace can manage the products in the showcase by removing the least efficient.